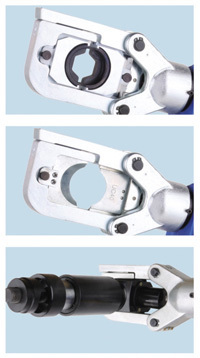 For interchangeable dies, narrow crimping. 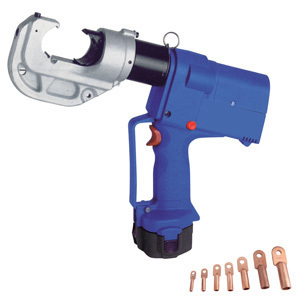 Crimping head rotates 360°, flip top style. Motor stop and automatic retraction when crimp is complete. Manual retraction in case of need. 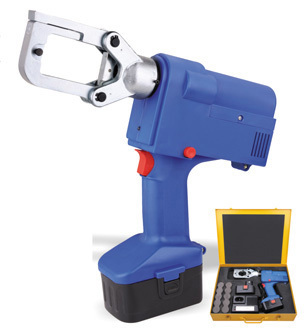 Electronic control and monitoring of crimping operation. Light diode for battery charge and maintenance control. 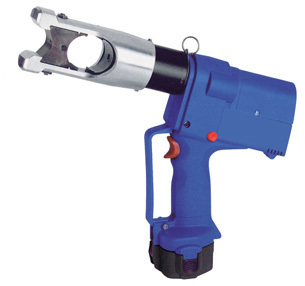 Crimping head H type, rotates 360°. 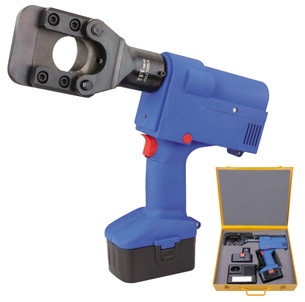 Crimping head C type, rotates 360°. 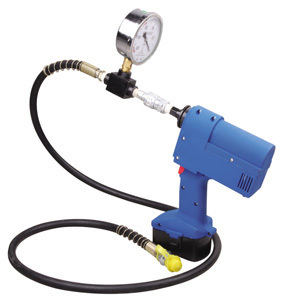 Closed cutting head with bolt interlock, Rotates 360°, flip top style. Automatic retraction when cut is complete. Universal head rotates 360°, flip top style. 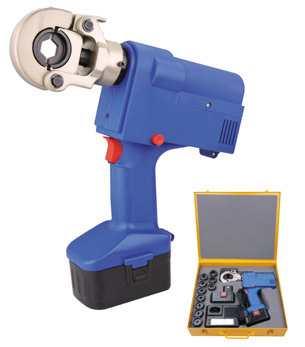 To drive crimping, cutting and punching head.